Survivor: Ghost Island episode 6 wasted almost no time at all (thankfully) shaking up again. Luckily for Michael and Jenna the two tribes are swapping and the game is suddenly wide open. So, what are the new tribes? Well, there are three tribes — and this late in the game! That’s something we didn’t see coming with the merge on the way. Of the three tribes, we will say that the new one is actually the best — at least in terms of comedy. You’ve got Chris telling everyone how awesome he is, almost like he is super-athletic version of Michael Scott. Of the other tribes, you’ve got Domenick feeling like he’s actually running the show at Naviti while Malolo is mostly just Michael being sad that he always loses and goes to Tribal Council. Best Move of the Week – We’re going to give it to Michael at this point just for finding a way, somehow, to stick it out another week. We don’t think there was any real strategic might behind the vote beyond just one person in Angela deciding to stick to the original tribe. 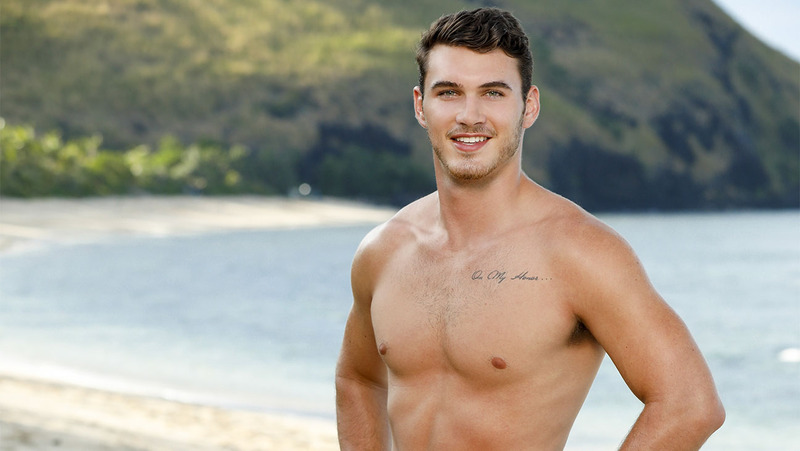 Worst Move of the Week – It probably is Chris, just because eventually some of that yammering is going to cause him to lose — he’s almost the perfect merge boot since there’s almost a zero percent chance that the guy is going to head to Tribal Council before that. One of the skills that the man can brag about is clearly being built like the Greek God of Survivor. Funniest Moment of the Week – Is it Bradley coming to a realization that he is awesome at Survivor, just as he knew he was all along? There is something about his supreme arrogance that we actually find endearing just because it’s either going to somehow work for him or blow up in his face terribly and we will get great enjoyment out of that later. Bradley’s a great character, even if some out there hate him for doing so well. Standout Player – Even though his tribe didn’t go to Tribal Council it would really have to be Domenick! He’s done a very good job at constantly finding people to work with and being charming while also still scrappy. He’s a different sort of player than we’ve seen in a while just because he’s got that Tony-like quality of being able to play hard but also be funny and engaging enough to get away with more than he should. Elimination – James Lim. This was an elimination that was mostly about Angela’s choice. She had the original Naviti on one side and the Malolo, the tribe that indirectly saved her previously, on the other. Naviti had targeted her after the first tribe swap! We thought that she was going to side with Michael and James, but in the end, Angela instead teamed up with Kellyn and Des from her original tribe. James is gone, and that’s a bummer given that we picked him to win preseason and he actually seemed like he could’ve made waves at the merge. What did you think about Survivor: Ghost Island episode 6 overall? Be sure to share some of your thoughts on that subject below!